I searched and find a very old thread but didn't want to necro it. so, wanted to start a new one. what is you opinions about Skyrim races? then again, i suppose that may be true with a lot of the imperials and bretons as well. anyways, there are other Redguards with typical arabic names, so like i said, they are definetly influenced by 'em. Last edited by philfredobob on Sun Jun 16, 2013 10:35 am, edited 1 time in total. Bretons are a real people (check the "Breton People" article on Wikipedia), inhabiting the Brittany region of France, and of English Celtic descent. Kinda fits with their French-like names, too. Altmer, I dunno, I've kinda seen them as something similar to the Incas of South America - very concerned with themselves and their culture, and seeing themselves as above the other tribes. I guess they could be said to parallell the Chinese too, which could also fit with their yellowish-golden skin colour. Bosmer, more like "traditional" Fantasy/LoTR-style elves, without really having a clear real-world parallell - perhaps some of the North American native american tribes? Dunmer seem to be quite a mix of everything - in Morrowind, the Ashlanders use ancient Babylonian-style names, while similarly based on Middle-Eastern nomadic peoples like the Kurds. Architectually, Morrowind seems to borrow a bit from everything, with Balmora looking kinda Middle-Eastern/North African, Vivec more Egyptian, or even Mesoamerican (Maya), and the Telvanni cities being kinda LoTR-like, the buildings there reminding a lot of Hobbit dwellings... Mournhold on the other hand looks distinctly Chinese/Central Asian. Orcs, don't know if they are really meant to have a particular real-world parallell? The parallell to the Mongols seem more fitting on the Dwemer, at least how they're shown in Morrowind (the Dwemer buildings on the other hand kinda looking a bit like southeast-Asian pagodas). Nords are in the same way obviously modelled on the Norse peoples with some ancient Scottish influence thrown in. 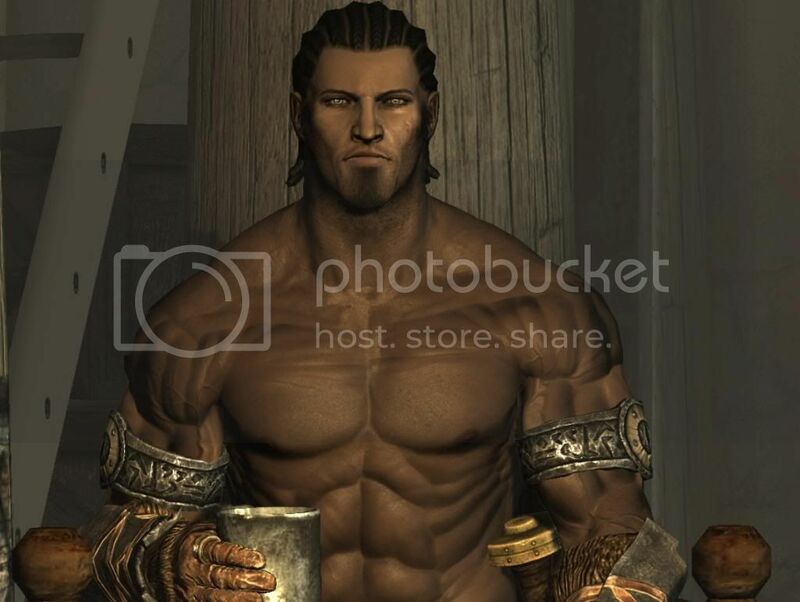 Redguards in the earlier games (Morrowind/Oblivion) seemed to be modelled more on the Caribbean Islanders (kinda pirate-style, with dreads and such), although in Skyrim they seem more African, it is of course obvious from their clothing in Skyrim too. Khajiit seem to be modelled on the Persians, as you say. i think angrynord has hit it on the head there. im not an expert in any culture but i am fastinated by the romans and i agree the imperials are just like them. as you say im not sure the Orcs can really fit into anyone culture perhaps a mix of warrior cultures? Shamans aren't a race. I meant they look shamans to me, but not sure about real-world race. can be Mongol, Turk or Tungus since shaman is a Altaic word. No...this thread. Just don't do this. You have no idea how old and overdone this is. Just please...please go spend time with your friends and loved ones and stop trying to compare Imperials to Romans. It's not a good question in the first place. It really isn't. It might seem like one but it's not. Nobody's forcing you to read the thread. Nearly every topic on the first page is pretty overdone I don't see why you have such an issue with this topic. Cause it's a topic that goes beyond Skyrim and is present in just about every game with "race" options. Often they turn into stuff like the repeatedly formed and closed threads concerning the Skyrim Civil War. This one also has a chance of becoming an embarrassing collection of racial and national stereotypes, as an added bonus. My thoughts, based on my knowledge of history, culture, and languages. Altmer: Chinese - I am one of those people who are convinced they look Asian. The "magical" superiority is akin to the technological superiority the Chinese had historically, and the stereotypes of the Altmer as being perfectionists and harsh on any one particularly of their culture who doesn't match up fits perfectly with European perceptions of the Chinese in the early modern era as distant, cold, calculating people from an old culture who don't care about barbarians. Argonian: South Americans or sub-Saharan Africans. Argonian names definitely have a stereotypical "tribal" vibe to them. Bosmer: South Americans hunter-gatherer cultures. Not sure why, though. Breton: Brits and French in the medieval era. Pretty self-explanatory, I think. 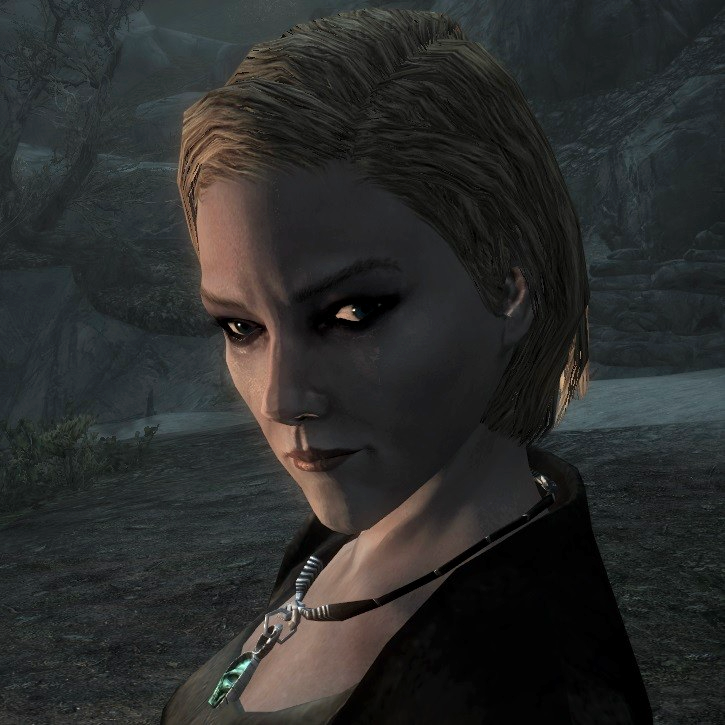 Dunmer: Jewish, Mesopotamian, generic Asian (though Mongolian and Native America for the Ashlanders). The story of Veloth as a prophet leading his people to a new land (if I remember correctly) bears great resemblance to Moses. The building architecture is remarkably Mesopotamian, for the settled peoples at least, while the Ashlanders all have Mesopotamian names. The Ashlanders live in yurts (Mongolian/Central Asian), but they also get a Native American vibe from me. Lastly, the settled Dunmer names appear to be somewhat Welsh to me. Imperial: Romans, yes. Most obviously with the names. But also some elements of China, especially according to some of the lore, and especially before the retcon with Talos turning Cyrodil from giant rice paddies and jungles into medieval fantasyland. Khajiit: Persians, Arabs, Indians, ancient Egyptians. The names are a bit more Persian and Indian. Orc: Mongols too, I'd say. But also an element of Judaism, with them being a sort of ostracized group nobody likes. Redguard: North Africans too. The African-inspired elements, I think, are even more clearer with the Yokudans. They have a lot of English names for some reason, though. While people like to link their warrior traditions with the Japanese (given that some of them have Japanese-ish names), I'd wager the warrior tradition aspect is also something very strong in real world Berber and Arabian culture as well. Yeah, warrior culture was important way back when in Arabia, I always thought that Redguards were closest to perhaps the Egyptian Arabs or the Sudanese. like the Fatimid or Ayyubid dynasty times, I dunno why though, they just give me that feeling. One thing I've noticed With regards to Morrowind - especially after looking at the higher-resolution Versions of the default items that are included in Morroblivion - is that at least some of the clothing in Morrowing seems kinda Native American in style? Khajiit are cats, and cats rule the internet. They've merely tricked us into running it for them. Wait, how are the Redguards Jamaican? Skin colours are similar... And Orcs already took the African place. Jun, I don't really understand most of your conclusions. (Orcs, Redguards, Dunmer, Falmer, Argonians. . . Dwemer I kind of get but not really.) Could you elaborate a bit? You also kind of completely ignored Elsweyr on the map, and Khajiit don't resemble real-world cats in any way other than appearance (and "Cats" isn't a culture.). I personally don't like these threads. Some of the conclusions are obvious (Bretons, Imperials, Nords) but I don't think these fantasy races can be pinpointed to one culture. (Even the "obvious" ones are multi-cultural -- Bretons are a lot like the medieval French and English, and the Imperials have aspects of ancient Greece and Rome.) In the end it doesn't really matter and can't really be objectively evaluated. I don't see any of the races as equivalents to real-world cultures. "equivalent to" and "inspired by" are two different Things. Last edited by Musicman247 on Wed Jul 17, 2013 12:37 pm, edited 1 time in total. No, I didn't 'ignore' Elseweyr, simply because I would be contradicting myself saying all cats hail from one country, if I would I probably would say Egypt then since they're worshipped there (and would also backup my map theory). All right, so you don't want me to go into Imperials, Nords and Bretons, we all get them, great. I'll start from Redguards, I would appoint them to Africa if based on Skyrim alone; Nazeem e.t.c. However, I'm still taking into account other games' Redguards, hence I supplied a link of a Morrowind (game) Redguard. I also took thought into the nature of Orcs and they're animal-like hunting measures. When I tried to link them together i.e. the Daggerfall Convenant, look at the similarities; Africa/Jamaica/ even French speaking colonies (I don't do Geography, hope you understand me) such as Senegal yield Black people yet speaking literally a 'White' language. This for me resembles my theory of the inspiration for France being Highrock yielding Bretons and Orcs, which is why the only suitable separate land for Orcs can be countries such as Senegal, again. Dwemer, ancient Greeks, I really don't need to go into this, please? Greeks had accomplished quite a few feats mathematically, scientifically, now they're not really still existent, we do have Greeks but not really the same ones if you get what I mean. Not really any other race fits for Dwemer other than them in my opinion. What must I go through now, Argonians? OK, they're reptiles, the forests, swamps and jungles in east / south-east Asia with the tribe-like aborigines, for me resemble these dark creatures. They use bows, poisons and other similar means like the Argonians to hunt for prey and food. Altmer only fitted the Chinese, not because of the 'Oh he's Asian, he's yellow' or 'Level: Asian' on the net, but I chose this due to a similar type of history, scrolls, ancient Chinese scripts/text. The emperors being the most feared and respected amongst the Chinese in their eras. Khajiit? Possibly Persians or Egyptians. Well, the Redguards, at least in Oblivion, do have a kinda Caribbean style over them, as do the architecture in Anvil (said to be "Hammerfell style"). Also most Redguards in Oblivion have English-sounding names. In Skyrim the Redguards have changed to be more akin to north-Africans though (Nazir, the Ali'kr Warriors). Khajiit I'd say Persian/Indian. Dwemer, at least the ghost blacksmith in Tribunal, tend to look like Mongols. Also, as said before, Morrowind/the Dunmer seems to be inspired by quite a patchwork of cultures - building styles in Balmora seem kinda middle-Eastern, while Vivec can be said to look both Asian or possibly even South-American... In Tribunal, we see obviously Asian-inspired architecture. At the same time the Ashlanders seem inspired by Asian/Middle Eastern nomadic cultures like the Kurds, With their names showing an obviously Babylonian influence. The Dunmer hairstyles, and at least partly their clothing styles, look kinda Native American... While the Dunmer tradition of worshipping one's ancestors are found in a lot of ancient cultures, both in Asia, Europe and America. The Great Houses seem kinda Asian/Chinese inspired to me, but I Guess can also perhaps be compared to Native American tribes.